At the List of Authoring Tools: Part 1 I will present you a list of 50 Authoring Tools for eLearning, instructional design, learning and training professionals. 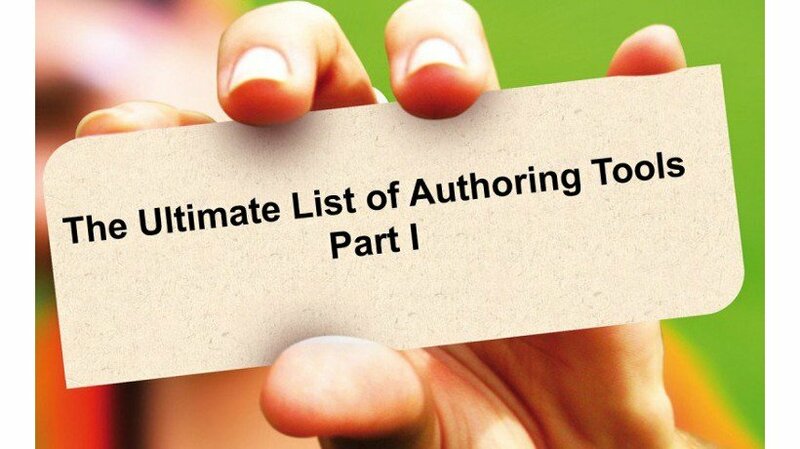 At The Ultimate List of Authoring Tools we will cover 200+ of Authoring Tools. So stay tuned! I am sure that you know Captivate, Lectora, Articulate and some of the most well known authoring tools for eLearning development and instructional design. In my opinion, as eLearning developers, instructional designers and eLearning professionals we should always explore new eLearning tools. Do not stuck with one tool or the other. Just try to see what is out there! Find, choose and compare the eLearning Industry's Top Authoring Tools! Explore! - Learn new things! - Make the difference! A few days ago my team began a broad search to create the Ultimate List of Learning Management Systems. In Learning Management Systems: Part 1, I have created a list of 70 Learning Management Systems in alphabetical order. The Ultimate List of Learning Management Systems will cover 300+ Learning Management System Solutions, so stay tuned. In this List of Authoring Tools: Part 1 I present you a list of 50 Authoring Tools for eLearning, instructional design and eLearning professionals, in alphabetical order. In The Ultimate List of Authoring Tools we will cover 200+ of Authoring Tools. So stay tuned! 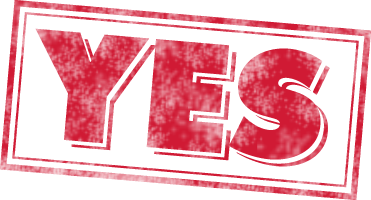 Would you like to create a FREE eLearning portal in 30''? Then use these eLearning Authoring Tools! Accordent Capture Station: If you need an easy-to-use solution for webcasting multimedia presentations that contain streaming video and audio synchronized with graphics, then the Accordent Capture Station (ACS) is your solution. Adobe Captivate: Adobe Captivate 6 software helps you rapidly author a wide range of interactive eLearning and HTML5-based mLearning content. Adobe Presenter: Adobe Presenter software helps you communicate more effectively with engaging videos and interactive presentations created in Microsoft PowerPoint. Advanced eLearning Builder: The Advanced eLearning Builder authoring tool is designed for creating e-learning materials such as e-tests, tutorials, quizzes, etc. AMVONET Content Authoring Tools: AMVONET is a comprehensive e-learning management, collaboration and authoring software suite. AMVONET allows you to create and manage content, assessments, and certificates. ANCILE uPerform: uPerform is an authoring and content management tool that delivers targeted, high-quality learning content to employees. Anithings: Anithings DownloadCreate animated movies and stories in a flash with this innovative software. any-survery: any-3 offers high quality, courseware and content creation services. We create rich media, effective granular learning content for a range of clients across the public and private sectors. articulate Storyline: Create polished interactive courses with Articulate Storyline. It’s simple enough for beginners, powerful enough for experts. Artisan: Maintaining the same training course content in multiple places is expensive, cumbersome and inefficient. Yet, as e-learning programs evolve and instructional designers are tasked with creating increasingly tailored courses for specific audiences, many employ this strategy out of necessity in order to deliver a relevant student experience. Artisan eliminates this time-consuming practice. ASL Animations: Use these animations to help students learn word meanings and make the connections between English text and American Sign Language. Assima Training Suite: Assima Training Suite (ATS) captures clones of an application's interface allowing the creation of self sufficient training content which can advantageously replace training clients or production systems. Atlantic Link: Atlantic Link’s trio of Content Point, Capture Point and Knowledge Point, offers the world’s most technically advanced rapid eLearning software, providing companies and individuals with huge productivity boosts and the freedom to collaborate from anywhere they are inspired. AuthorExpert: To fully deliver value to the learning community, e-learning systems mandate the authoring of learning content. Teachers need to disseminate learning materials electronically in a way that is accessible to and readable by the students they teach. authorPOINT: Convert PowerPoint files to SCORM Compliant rich multimedia Presentations. Brainshark Presentations: With Brainshark’s cloud-based software, you can easily transform static content such as PowerPoint® documents into voice-enriched video presentations that can be accessed anytime, on-demand... and tracked so you can measure the effectiveness of your communications. BRAVO! : BRAVO! Classic is a powerful, training game software suite that will enhance any instructional experience. Designed to help you use games to teach, BRAVO! Classic features four customizable gameboard templates. Cameo: Cameo is a web-based tool that delivers scenario-based learning reinforcement via email. Camtasia: Screen Recording and Video Editing Software. Claro: Claro is a very easy to use collaborative cloud-based fully HTML5 compliant e and mlearning authoring tool. CodeBaby: CodeBaby makes animated characters accessible to any organization that desires the unique human touch in their eLearning courses. Composica Authoring System: Composica is a robust e-Learning authoring system that brings new meaning to the term team-work. ContentGenerator.net: Our programs allow anyone to generate their own e-Learning quizzes, games and applications through our custom software - no coding required. Course BuilderCourse: Builder offers an efficient, simple and dynamic way to collaboratively create any tailored e-learning courses to meet your needs, or modify many of our catalogue courses to make them more unique to you. CourseAvenue Studio: CourseAvenue Studio is a unique e-Learning authoring platform for developing online training. DazzlerMax: The easy and fast way to create multimedia presentations and training courses. Dipity: Dipity is a free digital timeline website. Our mission is to organize the web's content by date and time. Document Suite 2008Document Suite 2008 helps you to turn your documents into online help via a number of formats. Dokeos MIND: Our commitment with Dokeos MIND is to offer teachers and students a free and easy tool to draw mindmaps and diagrams. Dr. Editor: Litespeed’s Dr. Editor is a content creation tool which enables users to easily create assessments. It can be used to create hardcopy prints and softcopy files for sharing. e-Learning Consulting's Authoring Tool: The eLearning Authoring Tool is a simple, easy to use tool for creating online courses. Its design allows you to create rich media courses containing text plus images, Flash animations, audio and video created with your favorite media editors. e-Z Studio: e-ZStudio is a robust e-Learning authoring system that brings new meaning to the term team-work. Easygenerator: Easygenerator is a SaaS solution. It is an easy to use online e-Learning authoring tool. EasyProf: EasyProf is an authoring tool that allows you to create interactive multimedia courses in a simple and intuitive way. eAuthor CBT: eAuthor CBT is intended for instructors (teachers), trainers, members of training centers, developers and authors of training courses. Elicitus: Elicitus is a leading authoring tool that allows users to create courses or convert PowerPoint presentations, all without programming knowledge. eNetAuthor: Keeping to our motto "eLearning Made Easy", eCom have developed eNetAuthor™ - A fantastic web-based rapid authoring tool allowing you to write your own, high quality, eLearning in record time! Engage '09: Create media-rich, engaging interactions that capture learner attention. Epiplex: epiplex500 is designed for an organisation's Training-Content Authors and business process managers – enabling them to create and deploy automated documentation, simulations, training materials and Contextual live in application support for all mainstream windows based software applications. eStudioeStudio is an authoring tool for creating complete and advanced e-learning productions. With the inherent flexibility in eStudio, the content, pedagogy or structure of an e-learning will not have to be restricted to limited templates or functionality. eQuickeQuick enables mobile learning without being limited by time, location or specific platform. Exam Engine: Pull Random Questions from a Pool By Objective Associate questions with one or more objectives. eXe: The eXe project developed a freely available Open Source authoring application to assist teachers and academics in the publishing of web content without the need to become proficient in HTML or XML markup. Resources authored in eXe can be exported in IMS Content Package, SCORM 1.2, or IMS Common Cartridge formats or as simple self-contained web pages. ExpressTrain: ExpressTrain standard operating procedure (SOP) and work instruction software works within Microsoft Office to automatically generate, update, and synchronize SOPs, VISUAL work instructions, job aids, and verification documentation. Flash Demo Builder: Flash Demo Builder is an easy to use and unique tool for creating tutorials, presentations, interactive quizzes and product demonstrations. FlashPoint: Create professional-look flash presentations and e-learning courses with PowerPoint knowledge. FlowHow: Create, edit and publish elearning courses, materials and documentation with FlowHow. With FlowHow, content creation is easy and our product allows you to create and upload online courses based on the various job roles of managers and employees in your organization. FLV Presenter: Turn passive viewers into active participants by inserting interactive simulations, product demonstrations or scenario-based training created. Works seamlessly with FLV Hosting enabling you to connect to the streaming server to deliver content instanly. Flypaper: Whether you're looking to create high-definition motion graphics content or interactive content, Flypaper is the perfect solution. Flypaper lets anyone with basic content creation skills create real high definition motion graphics or interactive content. GenExis - Simple Content Editor: GenExis is an e-learning solution based on content generation principle that makes the learning process more effective, a lot more exciting and engaging!